Rose is an ordinary girl, who wakes up, goes to work, eats dinner then goes to bed only to get up the next morning and start the whole cycle again. She is perhaps the first companion to truly reflect many of the audience at home, who go through the same motions and she is looking for a way to escape her normal life. In fact, her becoming a companion to the mysterious Doctor was a pure accident because she was the one who was asked at the last minute to take the shop caretaker's lottery winnings down to him. But down in the basement, the shop window dummies are beginning to move. Then a strange man grabs her hand and tells her to run. Her life will never be the same again. This wasn't the first attempt at a reboot of the series. In 1996, The TV Movie featuring Paul McGann as the Doctor hit our screens but wasn't successful. There were a lot of reasons as to why, the general public felt like they had walked into a cinema half way through a film and had no idea what was going on and the existing fans were disappointed with what the producers had done to their favourite characters. Had Russell T. Davies done what they had done with the TV Movie, then Doctor Who wouldn't have lasted any longer than 2005 and gone down in history as one little obscure show. But luckily, he knew better than that as he had learnt from the TV Movie. He went back to basics and made Rose the audience's focal point, just as Ian and Barbara had been back in 1963. It is through her we learn about the Doctor and the dangerous life he leads. Through her we see the TARDIS again for the first time since 1996. And too anyone coming to this show with no idea about what had been before, everything they needed to know was amicably explained here. And it is a show that just works perfectly. What was different about this show was that it had adopted a new 45 minute format and one story had to be told in that time frame. The previous 20 odd years had stories being told in 4-6, 25 minute episodes that formed one story at a time. Doctor Who had done the 45 minute format before with Season 22 but the pacing had been too slow. No one should be worried about this format with the new series however as it just works. Everything moves along at a fairly brisk pace. The cast are great too. 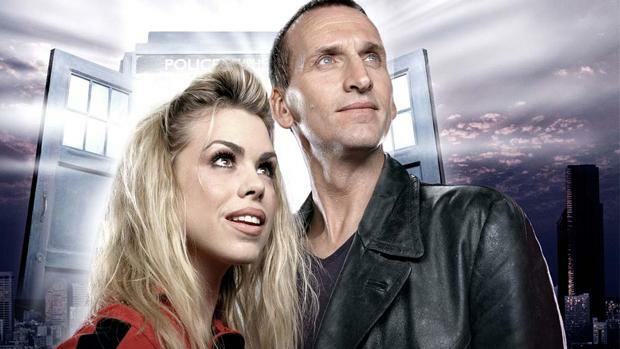 Christopher Eccleston comes across well as the Doctor and he was the first Doctor to have had a pretty extensive career before hand being know by millions of television and cinema viewers. I remember not liking him much at first but recently, after re-watching this series, he has improved. He isn't the best incarnation of the Doctor but was what was needed to bring the show back. And Bille Piper is also good. People were worried because of her pop star career. I don't believe that Rose Tyler is the best companion that the show has ever created but she does an important job here introducing us to the world of The Doctor. Who knows, one day I may hold her character in more esteem. But not today. This episode does something else that not many stories had previously done and shows us the family of the companions. Both Noel Clarke and Camille Coduri are brilliant as Rose's boyfriend Mickey Smith and her mother, Jackie Tyler. The show has a way to go before fully immersing them in the mythos of the show but thanks to their performances, that will no doubt happen one day.